This past weekend I had my 10 year high school reunion. BUT it really was so crazy to think I graduated 10 years ago! but never stayed in touch with. Most are married or have/are having kids so it is very interesting to see what 10 years has changed for different people. I did go to a fairly small high school (my graduating class was 177) so I was also shocked at how many people I forgot about. Let me mention that I did have a totally different outfit in mind but when I realized the reunion was being held in a barn in the middle of my county I ran to the nearest mall (20 minutes away) for a more casual outfit. But lets talk about this scarf shall we? 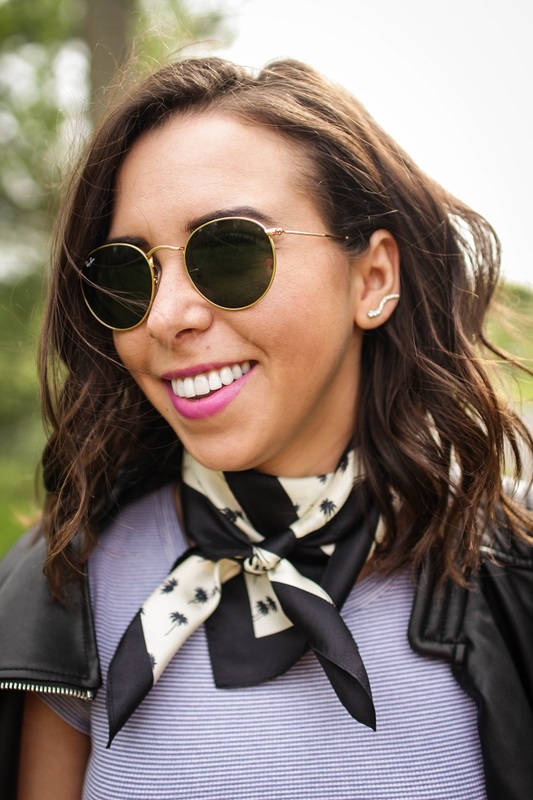 I have been stalking silk scarves and really loved this one from Ann Taylor. It was on sale plus an extra discount which made it super affordable. gives the outfit a more interesting pop. 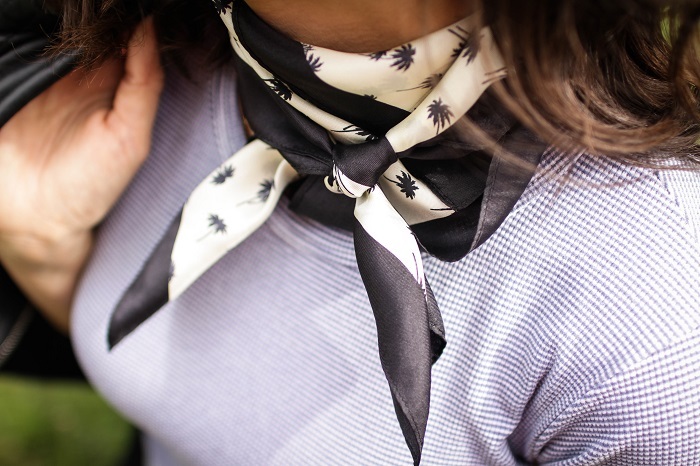 Have you jumped on the silk scarf bandwagon yet?? 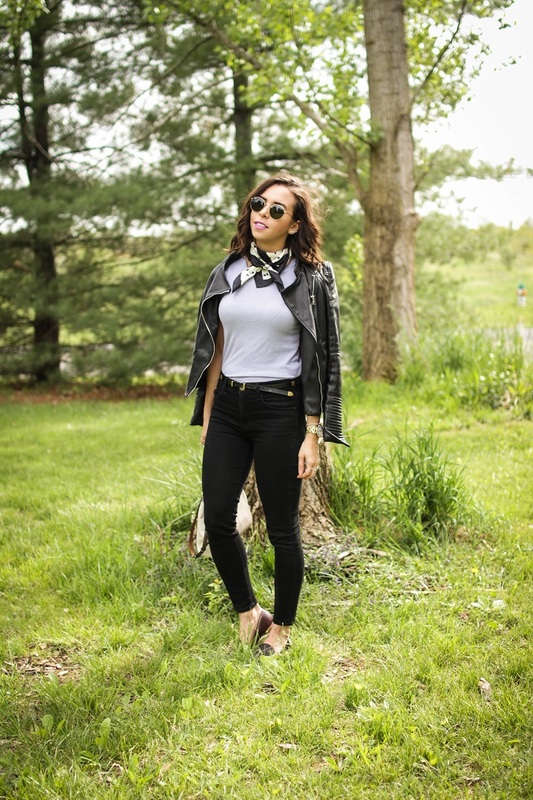 You totally rocked the neck scarf! Cute outfit! Love the scarf! I've been trying to wear my silk ones a little more, I struggle a bit with how to wear them.